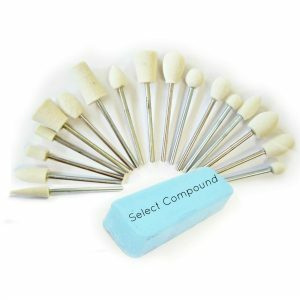 Please select the compound appropriate for the metal you are polishing. MX points can be shaped against a file. Use these points to remove lines and deep scratches. 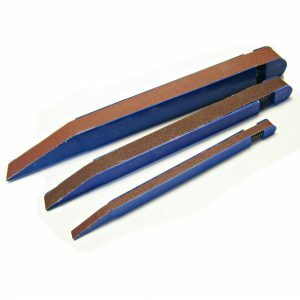 Rubber Points can be shaped against a file. 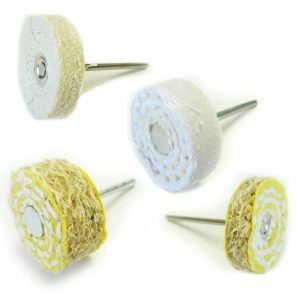 Use them to remove light scratches and marks. 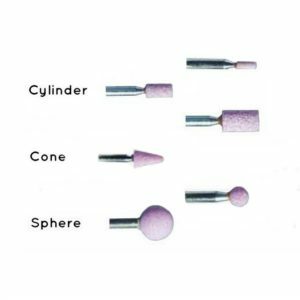 Buffing Balls are used for a brushed satin finish. 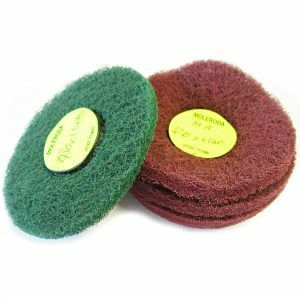 The Knife edge felt can also be used with compound in tight spaces especially for polishing between links. 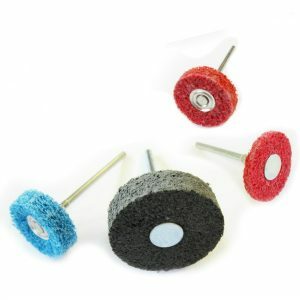 The Mounted Felt Wheels can be used with the black cutting compound to flatten and prepare for polishing. A good cut is essential before polishing. 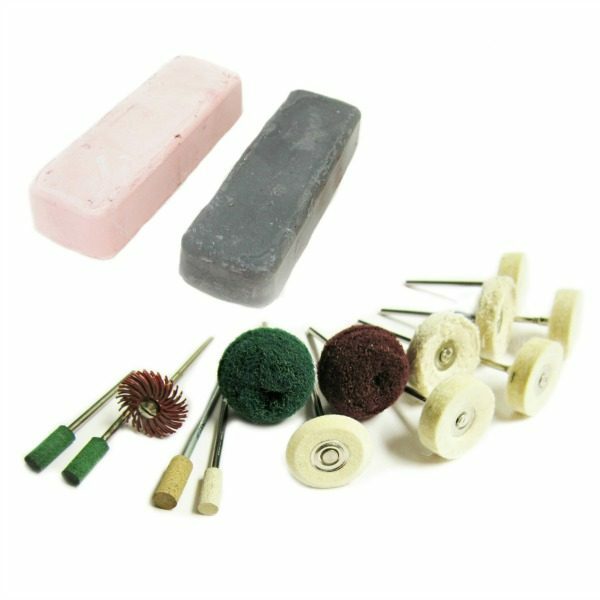 Use a new Felt Wheel and load with pink compound for the final polish. Polishing does take time. 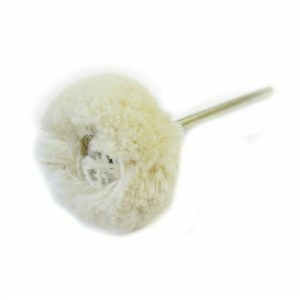 The white stitched mops are a little softer and can also be used with compound. They are a little bit more flexible than felt. 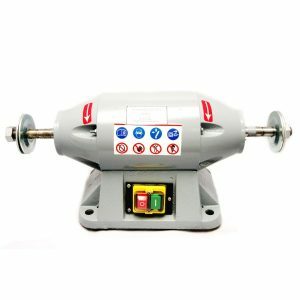 This watch polishing kit is set up for polishing steel mainly, therefore it would be an excellent set of tools for any steel polishing. 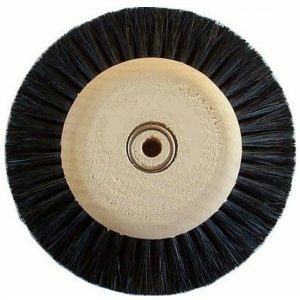 The wheels would be good for smaller items. 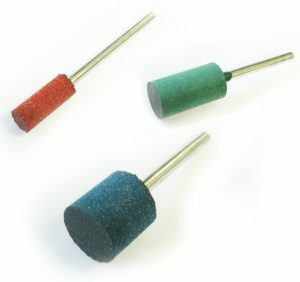 Ideal for use with a small hobby tool, micromotor or pendant drill. 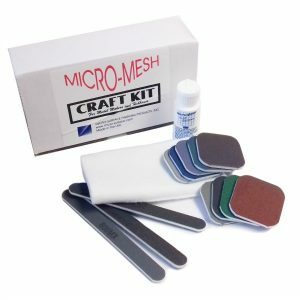 A lot of jewellers take in the odd watch, this kit could allow you to finish watches. 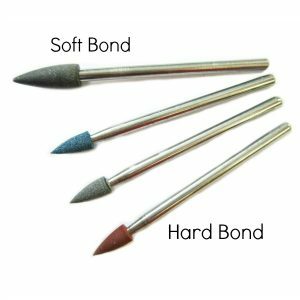 It is also a good selection of tools for jewellery work, used with the right compound the wheels can be used on precious metal. This would be a really good starter set for a beginner jeweller.